Sephora is a mecca for beauty products. In addition to that perfect lipstick, you can find almost any skincare product imaginable: blemish sticks, mud masks, or a sonic cleansing brush. So pick up one of each and, voila, no more acne, right? Not so fast! You want to make sure you are getting the right product for YOU, one that will actually work. But walking into Sephora or visiting Sephora.com, there are so many choices promising to give you better skin, it’s hard to know where to start. There are more choices than ever with cosmetic companies jumping on the skin care bandwagon and with acne being the number one skin disease in the U.S., it’s no wonder many brands are branching out from selling makeup items like BB and CC cream to offering acne products too. As you wade through a sea of options, you can ask a service representative for a recommendation but depending on who you talk to, the severity of your acne, the weather, and a bunch of other factors, you may get a variety of different answers leaving you just as confused. So why not save yourself some time and money and go straight to the only skin care product you will ever need to give you that gorgeous looking skin. 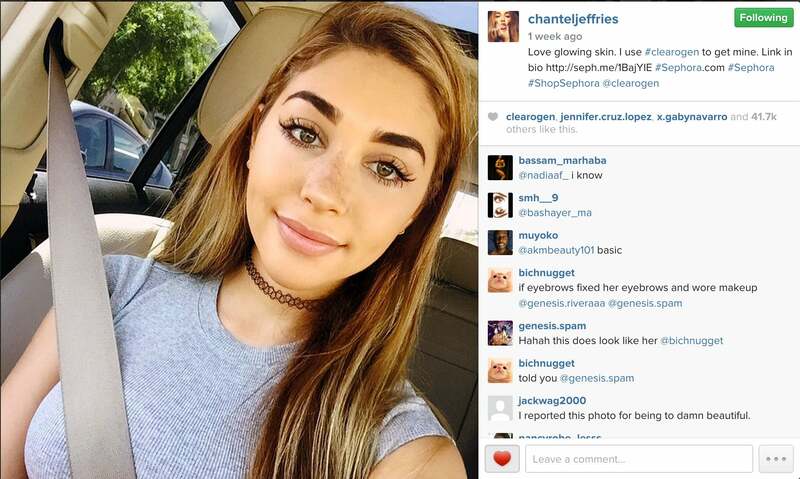 Clearogen is different because it’s not a passing trend or a fad, and celebrities are raving about it. Its inception was in a dermatology office where creator Dr. Alex Khadavi was tired of having to prescribe multiple prescriptions and therapies to treat his patient’s acne and vowed to do something different. So fret no more because you can now find the ultimate, complete acne treatment available at Sephora.com. 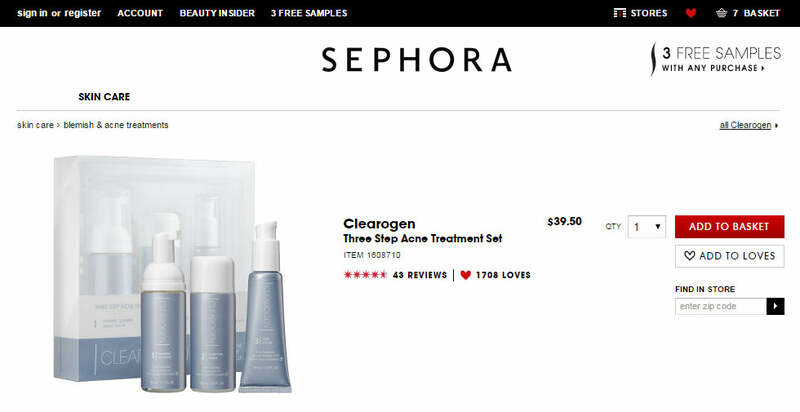 So hurry and get your special 1-month supply treatment set of Clearogen Foaming Cleanser, Toner and Lotion, available exclusively at Sephora.com for $39.50. You’ll love the results! 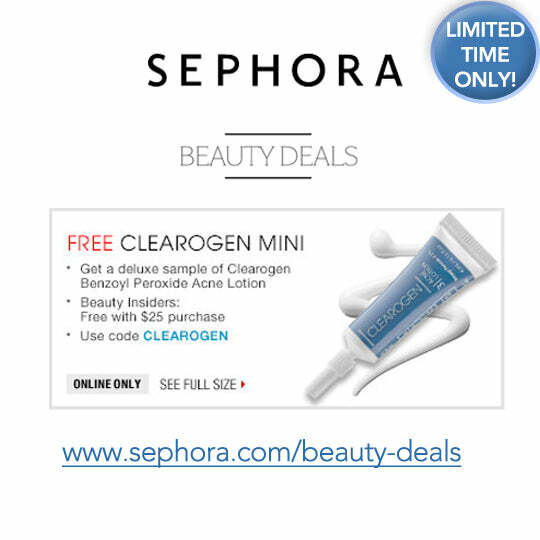 And keep an eye out for our Fan Friday Clearogen Giveaway at www.Facebook.com/Sephora.